Dr. Shams provides botox injections catered to the individual needs of her cosmetic and medical clients at several locations in greater London. 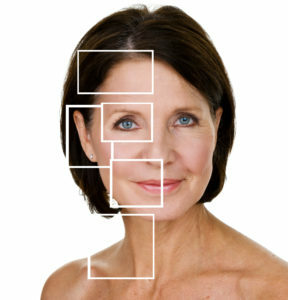 Botox treatment is a solution to wrinkles, facial lines, as well as certain medical conditions. For more information about Botox treatment, contact Dr. Shams. Cosmetic injections of Botulinum toxin treat moderate-to-severe facial lines and wrinkles that are formed by continual muscle contraction of facial muscles. Treatment with Botulinum toxin is the most popular physician-performed nonsurgical cosmetic procedure in the world. Which areas of the face can be treated with Botulinum Toxin? 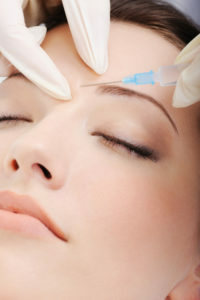 Using a very fine needle, Botulinum toxin is injected directly into facial muscles that are causing furrows and lines. Receiving the injections requires no anesthetic, but some doctors choose to numb the area to be injected with ice packs or a topical anesthetic cream. The injection effectively blocks nerve signals sent to the muscle to prevent it from contracting and to reduce pain. Patients may need anywhere from 1 to 10 injections during a single treatment session. The results of treatment are often most effective during the first 2 to 6 weeks after the injection and, according to the manufacturer, will last for up to 4 months. Results can be maintained through routine follow-up injections. What does botulinum toxin injections do? Botulinum toxin injections temporarily improve the appearance of both moderate-to-severe frown lines between the brows and moderate-to-severe crow’s feet in adults. How do botulinum toxin injections work? Properly placed injections of Botulinum toxin, which contain a purified and safe form of botulinum toxin A, block nerve impulses sent to muscles, weakening them to the point where they cannot contract. Results from Botulinum toxin injections are apparent within 3 days and are maximized by 10 days. Results often last between 3 and 4 months. Side effects of Botulinum toxin are usually mild and temporary. Possible injection-site side effects include pain, infection, inflammation, tenderness, swelling, redness, bleeding, and bruising. Depending on where they are given, cosmetic side effects of Botulinum toxin injections rarely include temporary swelling or drooping of the upper eyelid or double vision. Other side effects include Headache and Allergic reactions (including itching and rash). Allergic reactions can result in dizziness, feeling faint, wheezing and asthma symptoms. Normal activities may be resumed immediately after receiving injections. For more information about Botox and receiving Botox injections, contact Dr. Shams and schedule an appointment.